Want a pickup with amazing vintage tone to suit your double-humbucker guitar? 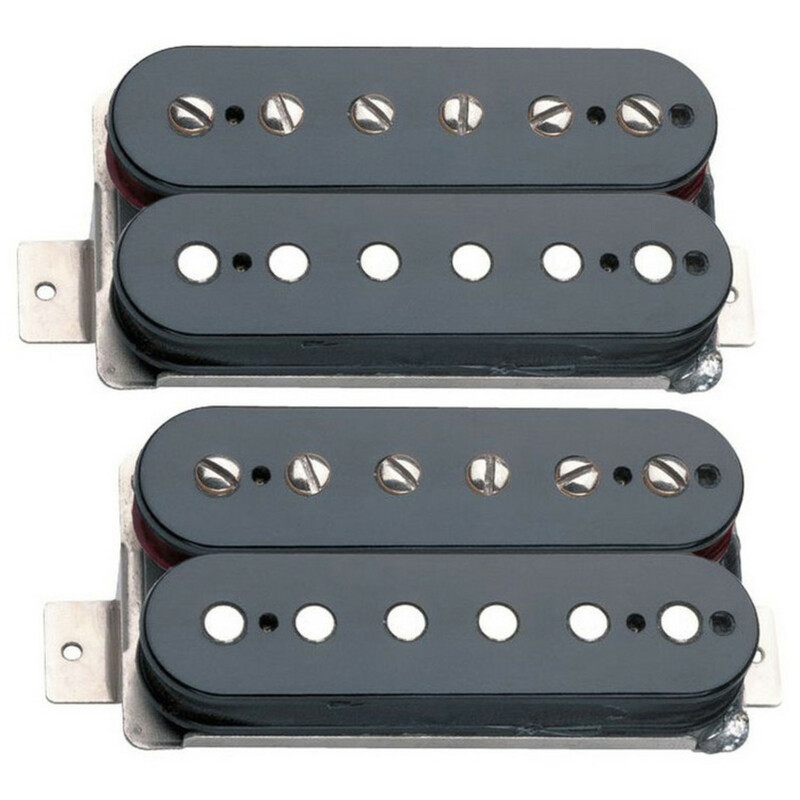 The SH-1 can settle your needs with this matched pair of SH-1 '59 humbuckers, one for the neck and one for the bridge, both calibrated for their specific positions. The Seymour Duncan Vintage Blues Set provides versatile P.A.F.-type humbuckers, which work a charm for country, jazz, blues, funk, classic rock and heavy rock. Players of these Pickup types include Ben Harper, Robben Ford, Mike Einzinger (Incubus) and Robert Smith (The Cure). This set comes in black. The Seymour Duncan SH-1 is designed and hand-built just like the original humbuckers of the late '50s to provide that detailed vintage-ness. Having become one of Seymour Duncan's most popular humbuckers, The versatile '59 works great for for classic rock, jazz, country and blues. Have fun and experience warm and crystalline clean tones, full and bright distortion, and smooth sustain. The SH-1's design includes plain enamel wire, long legged bottom plate, Alnico V magnets, and single conductor cable. Included with this pickup is a wiring diagram and mounting hardware. The bridge model is designed for bridges with traditional string spacing of 1.925" or 48.9mm measured over the bridge pickup. These pickups are designed for balanced and warm instruments, especially with mahogany bodies and rosewood fingerboards.The '59 neck pickup pairs well with a hotter bridge pickup like the SH-4 JB or SH-13 Dimebucker to give you more versatility.